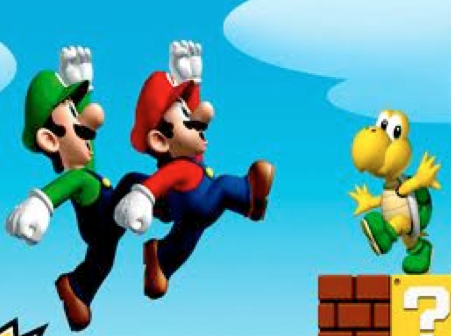 Is Gamification right for your company? Can you pass an E-SAT? 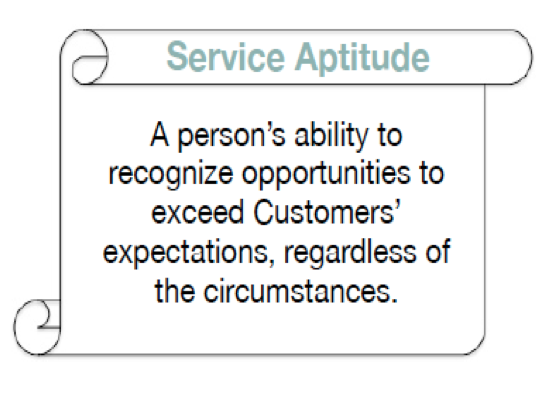 Gamification – Being a Customer service/support rep can be one of the toughest jobs in any company. That is why so many different organizations try innovative things to improve these positions. Software companies are a good example. They want to turn Customer support into a game known as gamification. This “game” keeps score of how well a CSR is doing by awarding points for tasks and then instituting some sort of system for turning those points into rewards. It might be a “badge” attached to their online profile, or perhaps prizes or bonus pay. Many software companies help businesses add gamification to existing software, while other outfits are adding game mechanics directly to their own applications. Recently a startup debuted with a private social network designed for contact centers that included a gamified training system. UserVoice offers a gamified help desk app that includes something called “Kudos,” which lets Customers award points to agents for a job well done. Agents are then rated on a leaderboard. The Great Debate – Gamification has a lot of merit and is gaining momentum. People respond to the sort of rewards offered by these new-age applications. Many companies and employees have agreed that practices like the use of the Kudo Leaderboard, which tracks the number of kudos each Customer service representative gets from Customers, has created competition in the office — one in which our Customers are the true winners. However, there are others that believe gamification may do more harm than good. The opposition points out that gamification replaces an intrinsic reward with an extrinsic one. It shifts a participant’s motivation from doing something because it is inherently rewarding, to doing it for some other reason that isn’t as meaningful. I personally find it an interesting debate and want to research more. My initial opinion is there is a place for gamification, like anything in moderation. I love rewarding employees for doing their job well. I also appreciate that the Customer service rep position is tough, tedious, and very repetitious, and if gamification helps break the monotony and adds even the slightest distraction and personal self fulfillment to their days, I am all for it. You can read more about it in this article How “Gamification” Can Make Your Customer Service Worse. 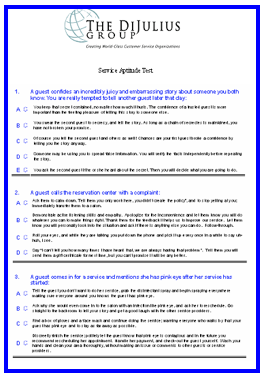 Employee Service Aptitude Test (E-SAT) – One of the best tools for measuring if an employee’s service aptitude is high enough to start interacting with your Customer is the Employee Service Aptitude Test, created by The DiJulius Group. The E-SAT is a customized test that asks 50 to 75 multiple-choice questions of the most common situations that may arise between the employee and their Customer, ranging from non-negotiable standards, service recovery, above-and-beyond opportunities, to uncomfortable and awkward situations that are not uncommon. We suggest the E-SAT be given before and after the new employee goes through their initial training to monitor how their service aptitude has increased. At John Robert’s Spa, a new employee cannot start working in their actual position, or interacting with our guests, without scoring 100 percent on their E-SAT. A guest, who just had a full-head highlight service ($120.00) with you (the service provider at John Robert’s) yesterday, calls up and says she is not 100% happy. It is not the color she requested, and she would like the highlight re-done. What do you do? Did you pick the correct answer? Think about what your best answer would be and then click here to find out what is the correct answer. Comments Off on Is Gamification right for your company? Can you pass an E-SAT?